We are the producer and exporter for gypsum retarders use to produced plasters of various setting time and enhancing properties. These Retarders for gypsum plaster are an ideal choice for application on internal wall ceilings of brick, block or concrete and allied. This range posses. KEY PROPERTIES :- cost-effective thixotropic agent for mineral-based construction systems Improved ease of application and surface smoothness Increased sag resistance and softness Decreased pumping pressure and stickiness on tools Anti-sedimentation and anti-bleeding Stability against bacteria and enzymes . Plasterboard jointing compounds Gypsum, latex and cement pointing compounds . 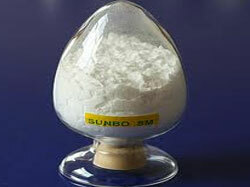 Self leveling flooring compounds Cementitious and gypsum anhydrate screeds . The usage and dosage of retarder will depend on nature and purity of gypsum plaster The level of addition depends on the desired consistency of the system. Typical levels range from 0.1% - 3.0% additive, based on total formulation. In plasters typically 0.1% - 0.3% are used can be combined with other thickening agents. Acute inhalation not expected to result in adverse effects. Prolonged inhalation may cause respiratory tract irritation. Effects include: No other effects expected unless listed below. Prolonged skin contact can result in irritation causing redness and itching. Not expected to be harmful if absorbed through the skin. Effects include: Nausea, pain, vomiting, diarrhea and digestive tract irritation. Wash with soap and water. If discomfort or irritation persists, consult a physician. Remove contaminated clothing and wash before reuse. Flush eyes with water for at least 15 minutes while holding eyelids open. If discomfort or irritation persists, consult a physician. Rinse mouth with water. Give the person one or two glasses of water and then consult physician.In extreme emergency, induce the victim to vomiting under professional supervisions. No hazard in normal industrial use. If symptoms develop, get fresh air, and if symptoms persist, consult a physician. If breathing has stopped, give artificial respiration then oxygen if needed. Practice good personal hygiene to avoid ingestion. FOR PROFESSIONAL USE ONLY. KEEP OUT OF CHILDREN’S REACH. Common rules:D o not eat, drink and smoke at working place. Avoid to longtime contact the substance and breathe the dust of the substance. Change the contaminated clothing and wash it. Rubber or other impervious gloves should be worn to prevent skin contact. At minimum, safety glasses with side shields should be worn where exposure to excessive dust or spry is likely. Use good personal hygiene practices. None beyond those noted above. Keep away from the heat, direct sunlight and fire. This substance will not decompose hazardously.